We collect information from you when you register on our site, subscribe to our newsletter or fill out a form. When registering on our site, as appropriate, you may be asked to enter your: name, e-mail address, mailing address or phone number. You may, however, visit our site anonymously. The email address you provided, may be used to send you occasional company news, updates, related product or service information, etc. All users of our site may make any changes to their information at anytime by logging into their account and going to the ‘My Account’ page. The content of the pages of this website is for your general information and use only. Use of the Site or other Service or any materials or content on the Site or other Service for any commercial or other unauthorized purpose is prohibited. It is subject to change without notice. This website contains material which is owned by or licensed to us. This material includes, but is not limited to, the design, layout, look, appearance, graphics and products. Reproduction is prohibited other than in accordance with the copyright notice, which forms part of these terms and conditions. As a consumer, you are entitled to the benefit of statutory consumer guarantees in respect of items purchased from Just Smart Kitchenware. Just Smart Kitchenware will, at all times, honour its obligations under consumer guarantees in accordance with Australian Consumer Law. You have a period of 1 year from date of retail purchase to return it to Just Smart Kitchenware along with proof of purchase for assessment. Subject to that assessment we will offer a full refund or replacement. Please note that sometimes our assessment will include consultation with the manufacturer which can take some time. If you believe you have a faulty or damaged good, please contact us and we will help you through the process of returning the item to us for assessment. We have the right to change priving at our discretion and without notice. Sale discounts are limited to available stock. We do not allow backorders for sale items. While we try our hardest to ensure our stock levels are correct occasionally items are unavailable even if the site indicates that they are in-stock. A refund will be processed for sale items that are out of stock. If you establish a personal account with us, you agree to (1) provide true and accurate data about yourself on our account registration form, and to update and keep such data current. You will receive a password and account upon completing the registration form. You are solely responsible for maintaining the confidentiality of your password and account, and you are solely responsible for all use of your password or account, whether authorized by you or not. You agree to (a) immediately notify Just Smart Kitchenware of any unauthorized use of your password or account or any other breach of security and (b) ensure that you exit from your account each time you use the Site or other Service. 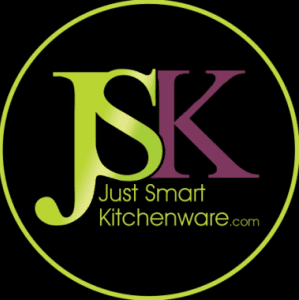 Access and use of password-protected and/or secure areas of the Site or other Service is restricted to users who have been given a valid password by Just Smart Kitchenware. We may terminate your membership and access to our Site and Service if we learn that you have provided us with false or misleading registration data. Take actions for the purpose of manipulating or distorting, or that may undermine the integrity and accuracy of, any ratings or reviews of any service or product that may be presented by the Site or Service. Violates any applicable law or these Terms.